Anterior Cruciate Ligament Injuries are more often seen in sports athletes and older adults. What are the Causes of Anterior Cruciate Ligament Injury? What are the Signs and Symptoms of Anterior Cruciate Ligament Injury? How is First Aid administered for Anterior Cruciate Ligament Injury? Who should administer First Aid for Anterior Cruciate Ligament Injury? 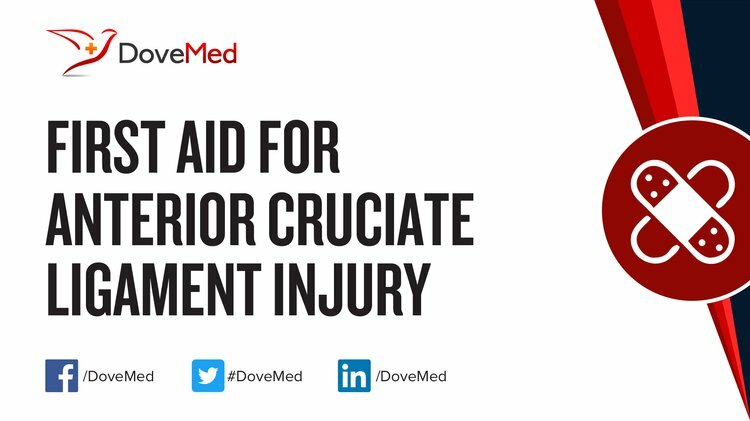 The injured individual or any bystander can administer first aid; however, the affected individual must seek medical assistance for a definitive management of Anterior Cruciate Ligament Injury. What is the Prognosis of Anterior Cruciate Ligament Injury? The prognosis of Anterior Cruciate Ligament Injury is usually good, if appropriate medical treatment is provided. How can Anterior Cruciate Ligament Injury be Prevented? Koga, H., Nakamae, A., Shima, Y., Iwasa, J., Myklebust, G., Engebretsen, L., ... & Krosshaug, T. (2010). Mechanisms for noncontact anterior cruciate ligament injuries: knee joint kinematics in 10 injury situations from female team handball and basketball. The American journal of sports medicine, 38(11), 2218-2225. Frobell, R. B., Roos, E. M., Roos, H. P., Ranstam, J., & Lohmander, L. S. (2010). A randomized trial of treatment for acute anterior cruciate ligament tears. New England Journal of Medicine, 363(4), 331-342. Siegel, L., Vandenakker-Albanese, C., & Siegel, D. (2012). Anterior cruciate ligament injuries: anatomy, physiology, biomechanics, and management. Clinical Journal of Sport Medicine, 22(4), 349-355. Waldén, M., Hägglund, M., Magnusson, H., & Ekstrand, J. (2011). Anterior cruciate ligament injury in elite football: a prospective three-cohort study. Knee surgery, sports traumatology, arthroscopy, 19(1), 11-19. Wilk, K. E., Macrina, L. C., Cain, E. L., Dugas, J. R., & Andrews, J. R. (2012). Recent advances in the rehabilitation of anterior cruciate ligament injuries. journal of orthopaedic & sports physical therapy, 42(3), 153-171. Cimino, F., Volk, B. S., & Setter, D. (2010). Anterior cruciate ligament injury: diagnosis, management, and prevention. Am Fam Physician, 82(8), 917-922. Potter, H. G., Jain, S. K., Ma, Y., Black, B. R., Fung, S., & Lyman, S. (2012). Cartilage injury after acute, isolated anterior cruciate ligament tear: immediate and longitudinal effect with clinical/MRI follow-up. The American journal of sports medicine, 40(2), 276-285.